A good time was had by all at last Friday’s Sponsors’ Party at Barrington House – very kindly hosted by DMF Committee member Rupert Smither and his wife Sarah. The DMF Committee were happy to welcome our Platinum and Gold Sponsors and also to have the a chance to say thank you to all for their generous support, which as always is very much appreciated. 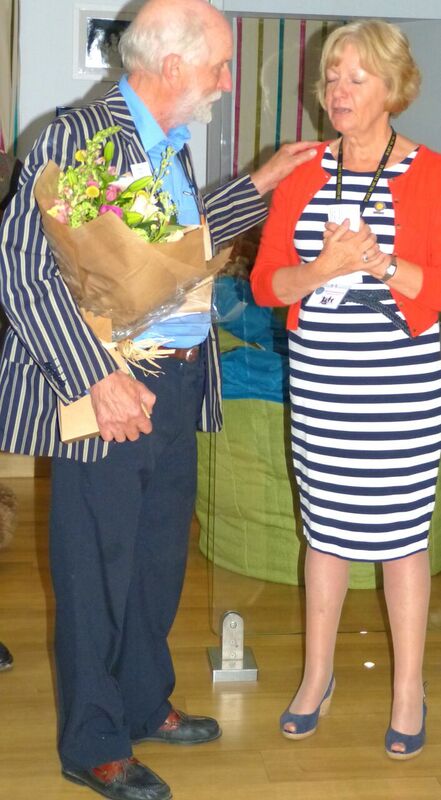 DMF Patron Ed Welch presented Chairman Pam Braakenburg with her bouquet after her short speech of thanks to all our sponsors and the Committee. A very cold and blustery evening meant that the party couldn’t take place on the terrace as planned, so a big thank you to the Smither family – including Jemima, Archie and Teddy for their sterling work in the Barrington Box Bar outside – for allowing the party-goers to invade their home! A delicious cold buffet was very kindly provided by the Royal Castle Hotel, while singer Becky Brine entertained us and DMF. Photographer Carole Hart Fletcher was on hand to capture the warm and friendly mood which prevailed. View from the terrace – shame about the Force 9 gale…! 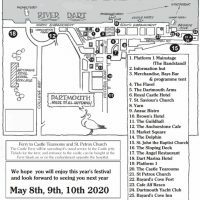 Our sincere thanks to Nigel Way and his staff at the Royal Castle Hotel for the food, Becky Brine for the music, The Smither Family for their fantastic venue, and of course you – our lovely sponsors for your generosity!